Tequila Mira valle is located in Amatitan, Jalisco, about 14 km (8.6 miles) south of the town of Tequila. Amatitán, is known for the production, because of the furtile land and good climate, the best tequilana blue agave weber of all Mexico. In 1996, Amatitán was witness to the birth of the company "Agaveros Unidos de Amatitán S.A. de C.V." which is formed by two families from the tequila tradition, originally from this same locality. From the Rivera family, Mr. Salvador Rivera began to grows agave plants at the age of sixteen. From the Partida family, Mr. Enrique Partida from Amatitan started cultivating agaaves at age fifteen. 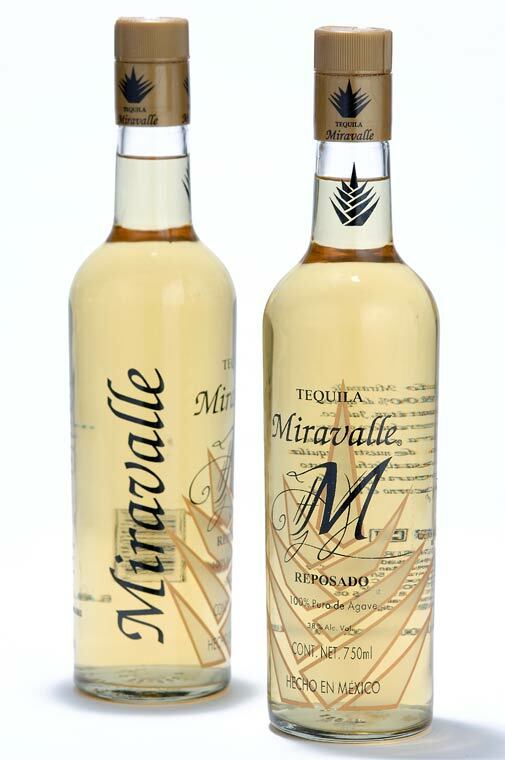 With their decades of experience and knowledge of the tequila making process, they established an enterprising company now knows as Tequila Miravalle. The two families have on average 800 hectares of fertile earth that belong to the Ex-Hacienda Miravalle Property, which are seeded in their totality of agave, guaranteeing the tequila production. The lands that are harvested are seeded again to generate a cycle productive of blue agave. 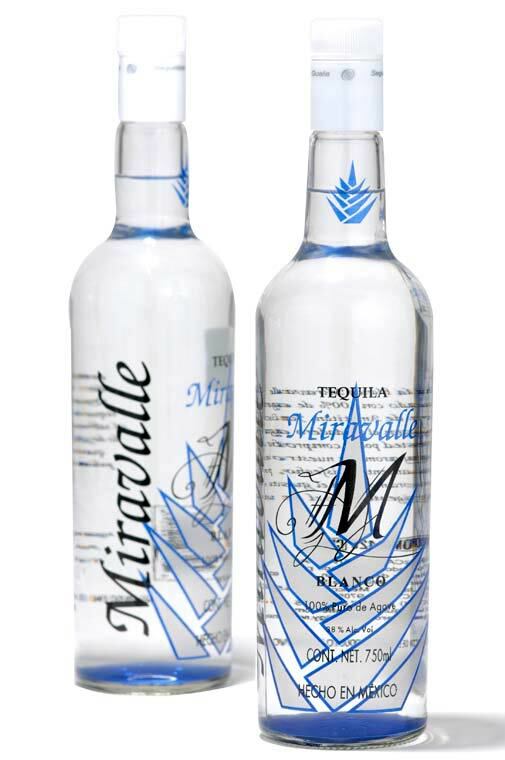 Miravalle Tequila has the capacity to produce 3,000 liters per day. Strong scent, crystalline color and exquisite flavor. 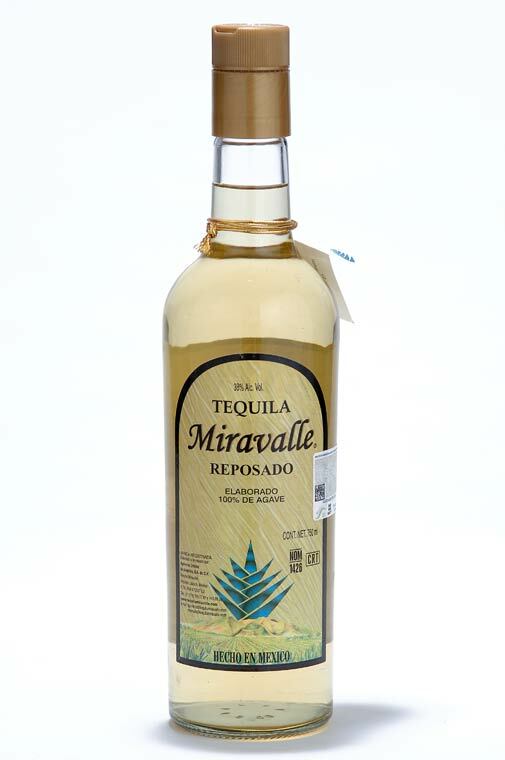 Tequila Miravalle Blanco (white) - (40% alc. vol.) - 100% Blue Agave - Presentation: 1 lt. / 750 ml. The Party Starter. 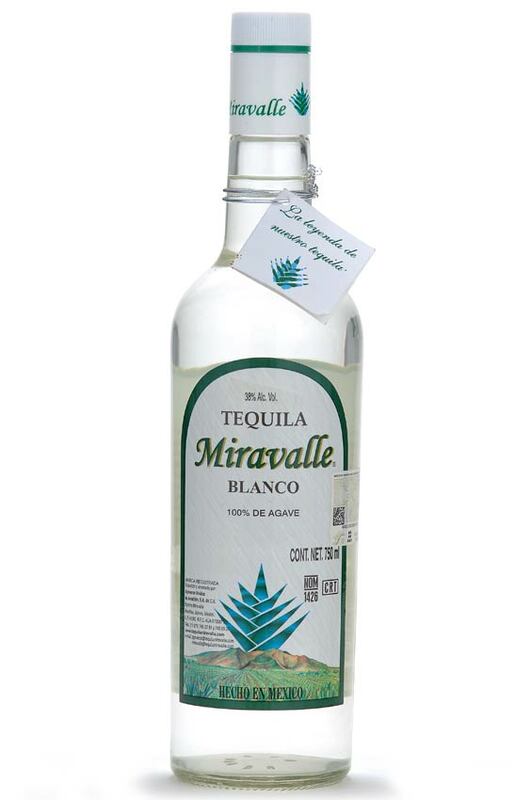 Born in the Valley of Amatitan, Miravalle Blanco tequila is traditionally made using the finest agave grown in the best location. This ultra-smooth, easy to drink premium tequila is popular in mixed drinks, enjoyed straight, or on-the-rocks. 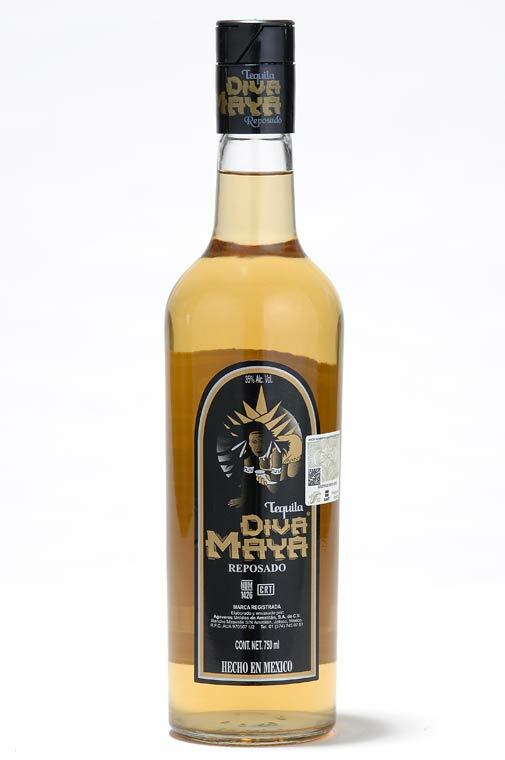 Made of 100% blue agave, it is characterized to have a strong aroma, crystalline color, and exquisite flavor. The Favorite. Aged for a minimum of six months in white oak barrels, this 100% blue agave tequila has an excellent gold color and unique taste—flavorful, complex, yet smooth with citrus and cider notes. Designed to please the true connoisseur. This product is so valuable by being of blue agave of valleys of Amatitán, Jalisco. And its time of rest is of at least 4 months in barrel of white wood, which gives like result an excellent flavor and a crystalline color. Distillery: Agaveros Unidos de Amatitán S. A. de C. V.